The old story book ending “ and they all lived happily after”… began with a child learning to read! PURPOSE: “The School to Home Reading Program” was initiated in 2011 in memory of Gary Landry, a founding members, to help increase literacy levels; build confidence; encourage family involvement and instill the joy of reading at an early age. 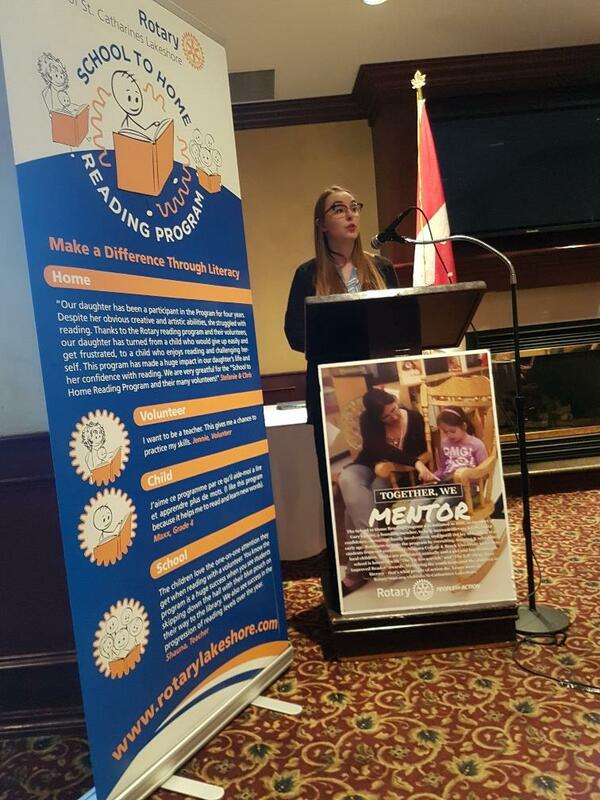 PROGRAM: Our Club maintains this Program by funding the purchase of “leveled” reading books; recruit, train & schedules volunteers from Niagara College & Brock University…. a win-win as mature students mentor young ones, as well as receiving community hours and references. Community members are always welcome! 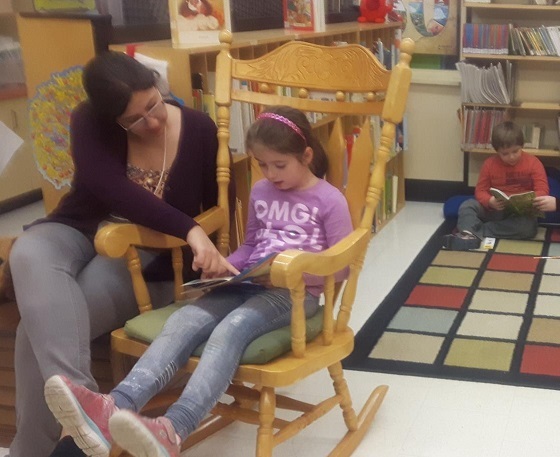 Students from grades 2 to 5 read to the volunteer who encourages & critiques, then takes a book home to read to their family and the process repeats weekly from October to April. Each step is designed to elevate the Students’ reading level and confidence. In June, we honour a girl & boy in each School with either the E.P.Flegg or the Vic Kovacevich Most Improved Reader Award, presenting a Rotary medallion, their name engraved on a Rotary School plaque & a $50.00 gift certificate courtesy of Book Outlet. To date, our Club has donated over $62,000.00 for the purchase of leveled reading books! Become a Reading Mentor and make a difference in a Child’s life. Volunteer at a school of your choice weekly or monthly. 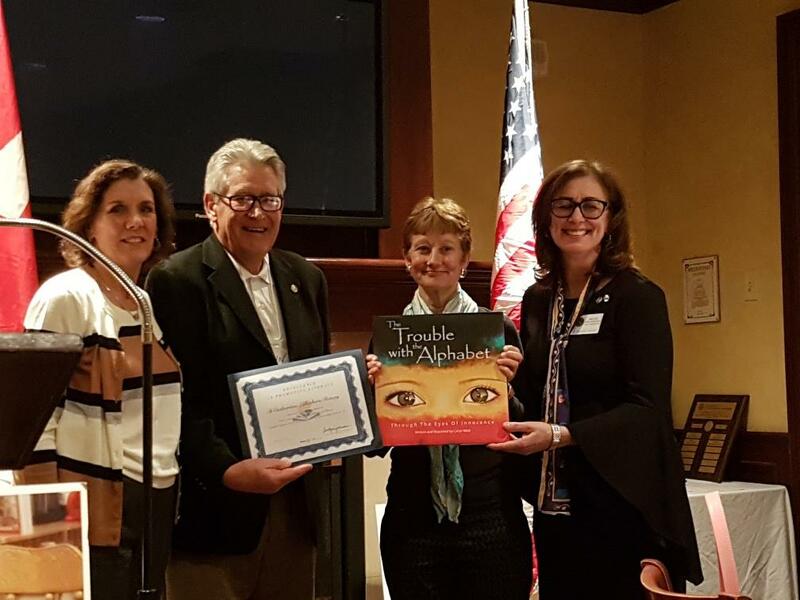 LITRAG Chair, PDG Carolyn Johnson presents our Club (Volunteer John Ellison, President Ellen Wodchis & Literacy Committee Co-Chair Milica Kovacevich) with the LITRAG Award (Literacy International Rotarian Action Group)for winning $500.00 U.S. in the “2018 International Literacy Award.” The School to Home Reading Program competed against Rotary Clubs in 12 Countries.